In the first of our series on how migrants have shaped Manchester, Kathrin Ohlmann reports on the changing face of Levenshulme high street. A small market is squeezed into the car park behind Stockport Road on the corner of Hennigan’s sports bar. Colourful marquees hold a cupcake stall, local independent café and bakery, Indian food, handmade cards, soaps and paintings. Hennigan is passionate about Levenshulme where he was born to Irish parents in 1956. Back then it was more than 50 per cent Irish. “You still know what it’s like when you go to St. Mary’s Church on a Saturday evening or Sunday morning,” says Hennigan. He adds that although most Irish and Irish descendants have moved out, they still come back to socialise. 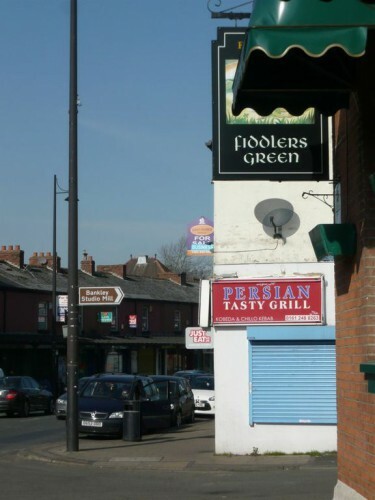 The percentage of Irish in Levenshulme today is only about 7 per cent of the total population but the heritage is still seen: there are five Irish-run pubs on Stockport Road and during the annual Irish festival more than 200 events take place in the area. The Irish president visited Levenshulme for the County Mayo festival in November. 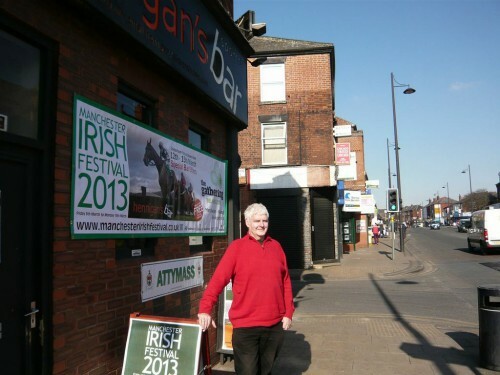 Hennigan helped to organise the festival and has been involved with Manchester Irish festival for years. He owns three of the pubs and a property development company. He adds that Iranians came into the area six or seven years ago. “They come to the shops so they don’t have to go into town, and we’re close to Longsight.” Their customers are Iranian, Polish, Ukrainian, Slovakian, and English. 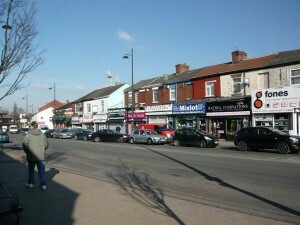 Over the past few years, Levenshulme has become more attractive to first-time buyers due to the cheap house prices. This brings more middle-class young families, couples and professionals to the area. Some locals predict it to become the “new Chorlton”. A blog called ‘Love Levenshulme – a place to be positive about the place where we live’ expresses the new Levy pride. Councils want to expand the local economy and attract middle-class residents who pay council tax, said Darling. “They want young professionals to stay here after graduating instead of moving to London.” But who benefits from the process and who loses out? 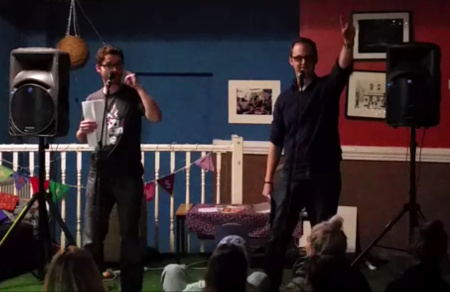 Hennigan sees certain similarities to the time when his parents bought their first house in Levenshulme. “The Irish settled in Levenshulme because it was heavily populated with other Irish people and the property was readily available.” A lot of Irish had lived in Longsight in big boarding houses before, but bought smaller houses in Levenshulme. 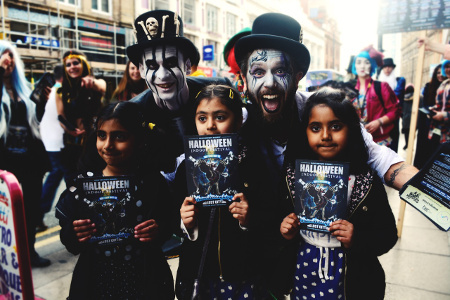 The Portas bid resulted in promising developments after all: the government has ensured all the runners-up funding money to spend on their struggling high streets. The exact amount of money available for Levenshulme is still unclear but the estimate is roughly around £200,000. Individuals are encouraged to apply for grants to open their own business or set up community groups of all kinds. There is talk of the greengrocer Village Stores becoming Levenshulme’s first co-op and the first cupcake shop on Stockport Road might well become reality in a few months’ time.